Located in a beautiful part of the northern Lake District, close to Cockermouth, Keswick, Buttermere, Crummock Water, Loweswater, Derwentwater and Bassenthwaite. Located in a beautiful part of the Northern Lake District, close to Cockermouth, Brigham Holiday Park is a well maintained, family run park that is ideally placed for exploring the superb environment we have all around us here – breathtaking lakes, hills and coasts. 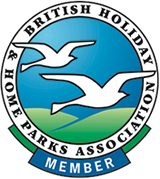 Fully landscaped and a member of the BH&HPA (British Holiday & Home Parks Association), our holiday & investment park is presented to a very high standard, with a private gated entry for complete peace of mind. Open a full twelve months of the year, and with wifi throughout the park, we can cater for holidaymakers all year round, making us a strong proposition to those wishing to secure a second income by owning a holiday home for rental. Please have a look through our website and contact us to arrange a viewing. Looking to buy a holiday home in the Lake District? Our turnkey ready holiday lodges are industry leading, supplied by top UK manufacturers, such as ABI and Carnaby. They include the features today’s buyers are looking for, such as electric fires, open plan living areas, fully integrated kitchen appliances, and bathrooms with fitted vanity units and electric showers. Furniture is optional in some models, but if you would like to include this in your home we can assist you with furniture, soft furnishings, and all the little extras, to your own specifications. You can also add a fantastic hot tub through our relationship with Lakeland Spas. Each luxury home comes with electricity, water and gas already installed, along with quality timber decking. All have their own dedicated parking area and garden. Winter Premium packs are installed. Please take a moment to browse our current selection of properties and make an appointment to view. Brigham Holiday Park's Open Day June 2019! We’re delighted to announce our first and exciting Open Day here at Brigham Holiday Park on Saturday 8th June 11am to 5pm, showcasing our amazing range of affordable holiday and investment properties. Come along and enjoy our delicious hog roast, as well as other food and free refreshments. We’re hoping to have a free prize draw too to win a great selection of prizes. Put a deposit on selected new properties that day and you'll be entitled to free site fees til 2021!